November 16, 2008 | Sizzle: When The Media Sizzles, You'll Find It Here! 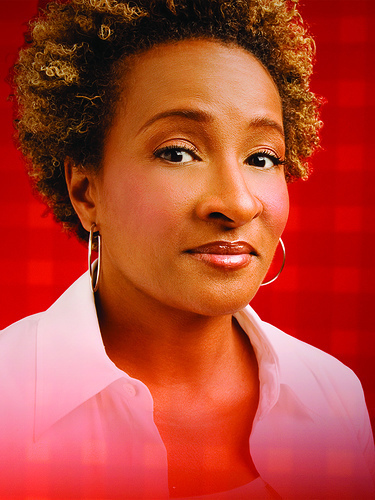 Wanda Sykes: The actress-comedian admitted, for the first time in public, that she’s a lesbian at an anti-Prop 8 rally. Good for her! TRL: Don’t forget to watch the last episode EVER tonight at 8 (eastern time) on MTV! In the meantime, check out this interview with original host Carson Daly. Find out which boy band was his favorite! Obama: Two steps forward, one step back. May be the first president to have a laptop in the Oval Office. But he’ll probably have to give up his BlackBerry and all e-mail communications. Reality TV: Following the death of a former Idol contestant, TV Guide takes a look at the damaging–and sometimes life-threatening–affects of reality television. David Cook: This is very sad. He’s still with Kimberly Caldwell! We’re overwhelmed with jealousy. Holiday Films: A look at how all Christmas movies revolve around family dysfunction. Green Hollywood: It exists. Surprisingly. Celebs came out last week to celebrate all the eco-friendly ways they go about their business. This entry was posted on November 16, 2008 at 5:01 pm and is filed under Uncategorized with tags David Cook, hollywood, Kanye West, Kimberly Caldwell, obama, Reality TV, TRL, Wanda Sykes. You can follow any responses to this entry through the RSS 2.0 feed. You can leave a response, or trackback from your own site. That article about Obama and emails is very interesting. Never thought about that before.